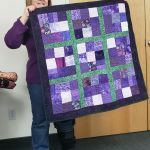 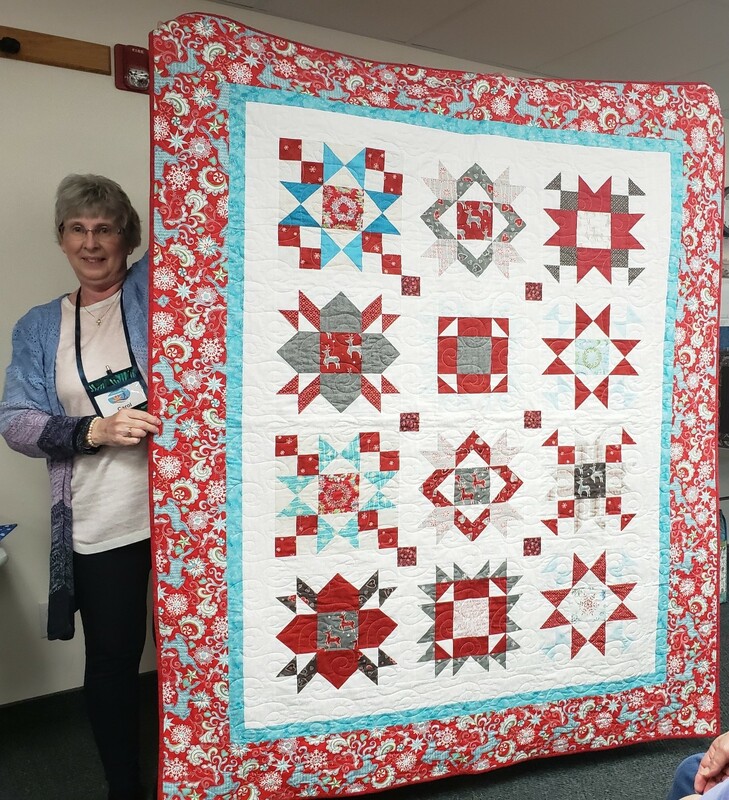 The Oregon Coastal Quilters Guild Show and Share January gallery. 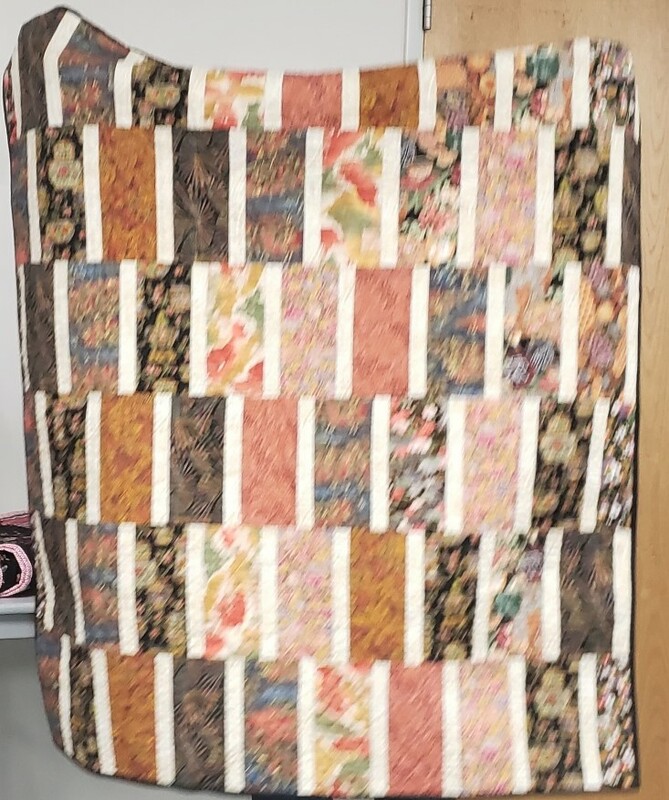 Click on any image to view a larger version and scroll left of right using the arrows. 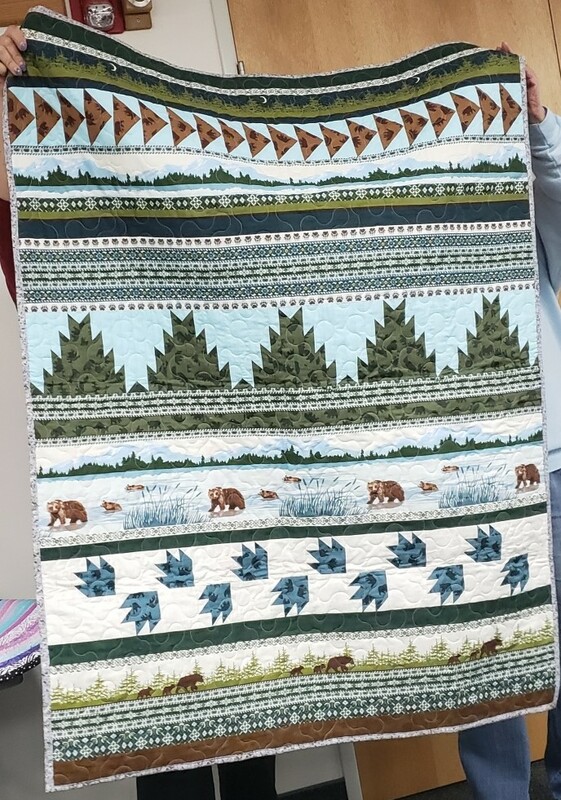 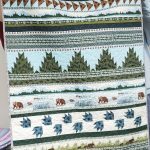 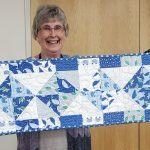 Fran Whited shared a Community Quilt called “Into the Wild”. 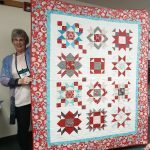 Carol Nelson shared this Christmas Quilt she made. 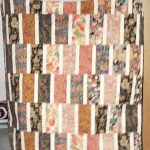 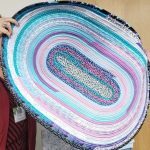 Fran Whited shared a Jelly Roll Rug. 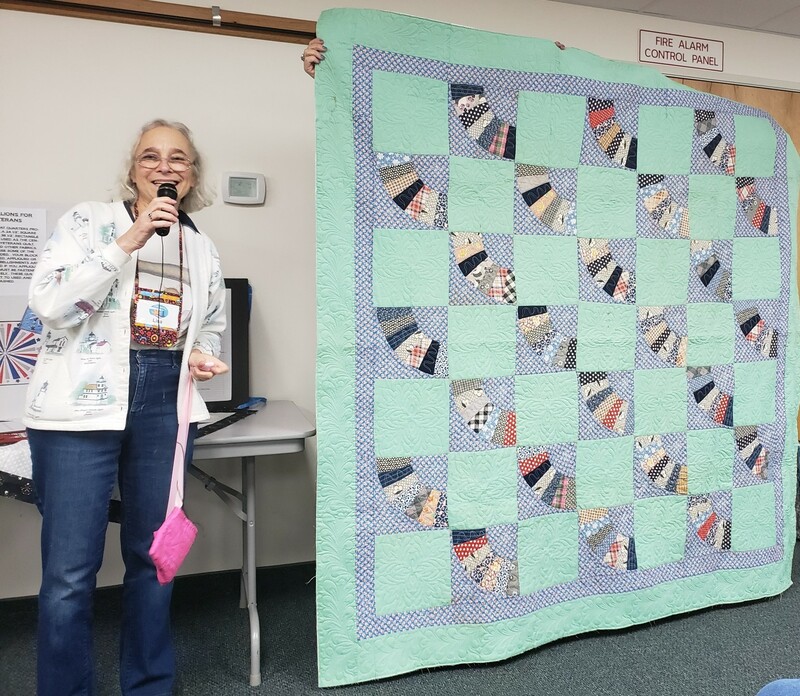 Lisa Taylor shared a family quilt tom from the 1940’s. 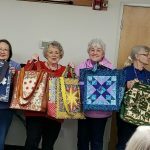 Billy Bags Becky Mershon, Caren Donobedian,Judy McCoy, Phoebe Heine, Liz Ritchie, ? 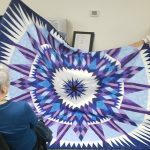 ?, Gail Chipman,?? 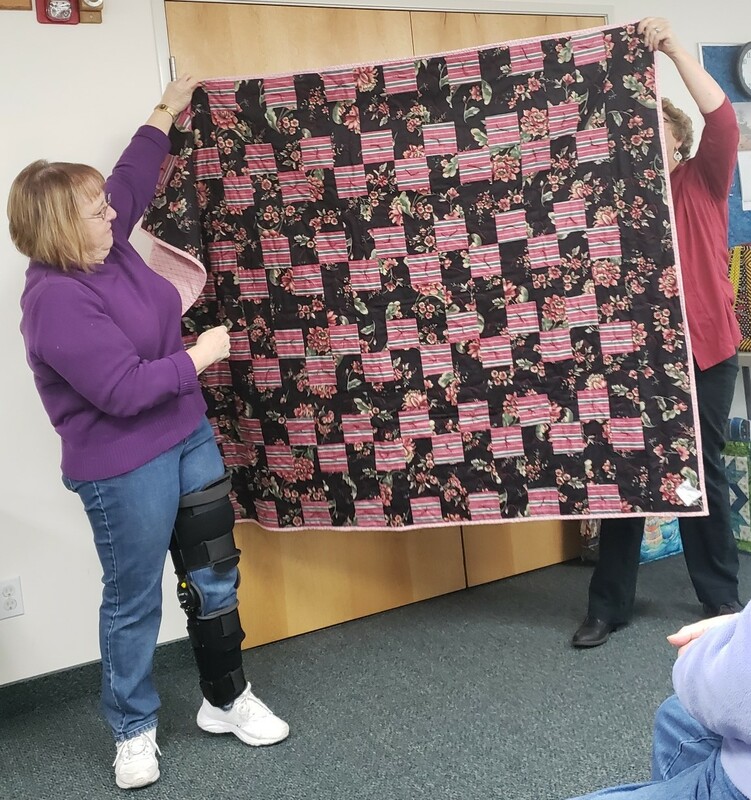 Cheryl Kramer shared a placemat with a Judy Neimeyer pattern “Broken Daisies”. 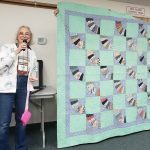 Sue Shephenson shared Community Quilts. 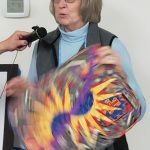 Sue Stephenson share some Community Quilts. 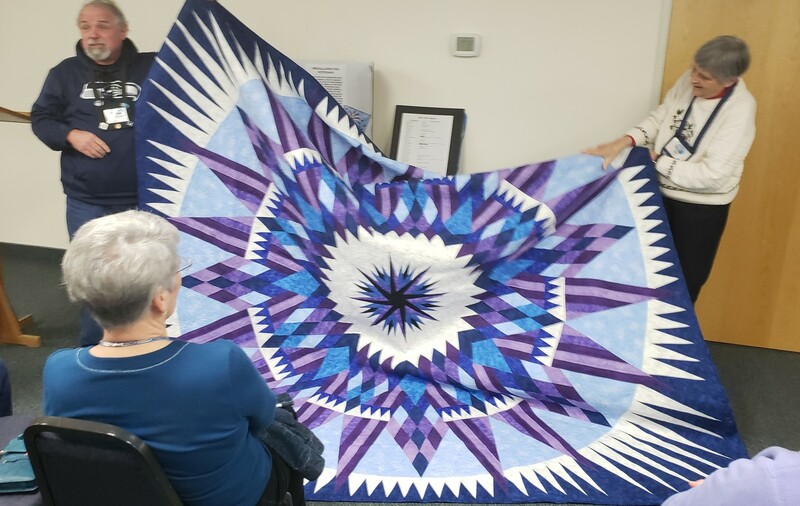 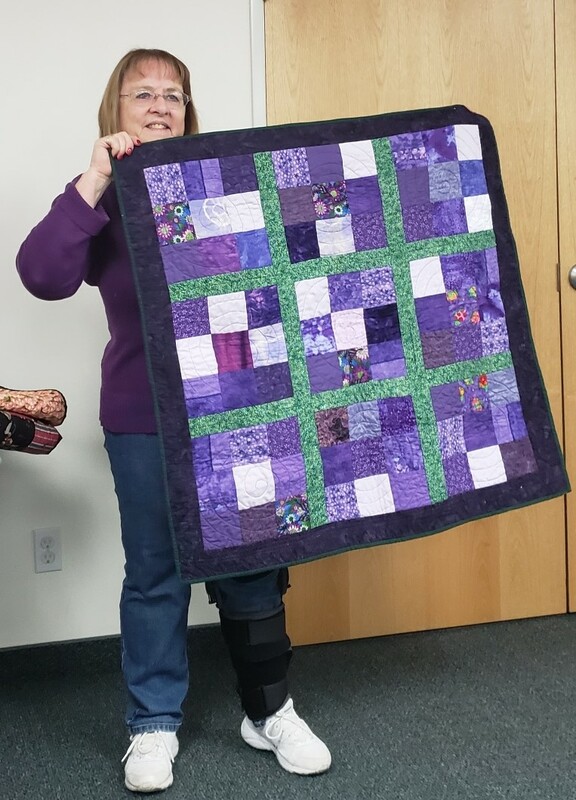 Sonny Hamner shared a beautiful king size quilt in blue, purple and white called “Something Different”. 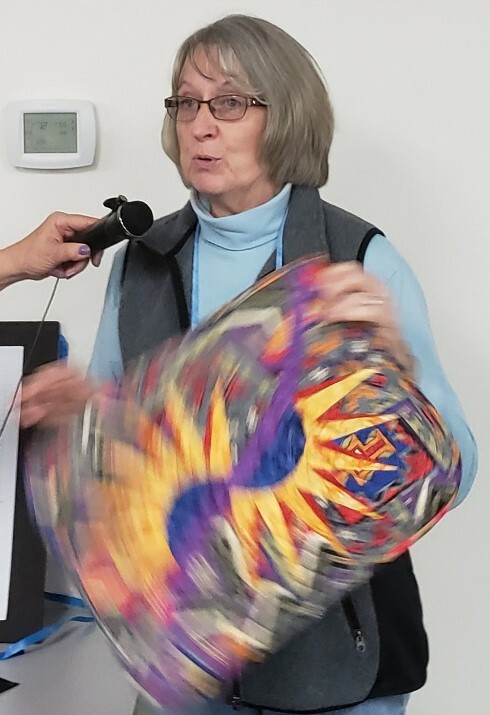 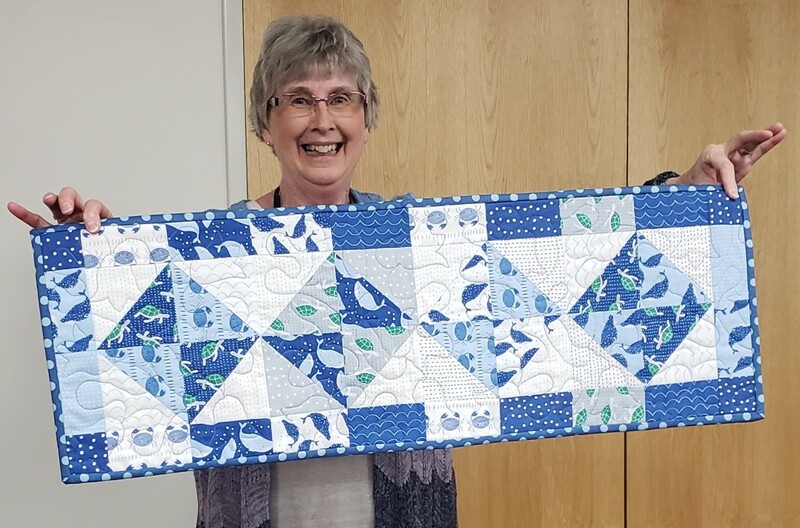 Carol Nelson shared a table runner in blue that she dedicated to her mom.